Y'all, I just found the funniest thing ever. So I was messing around on Youtube and I was searching for 'phil sarah michelle gellar' to see if anyone made a compilation of Phil talking about SMG. There isn't any but I found a video that from the thumbnail, looks like a phan edit. But it has the world SMG in the title too. I was pretty amused and clicked on it. 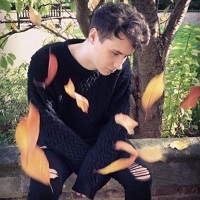 It's a phan edit which has a storyline Dan likes Phil->Phil likes SMG->Dan gets sad and jealous. It's pretty well-edited, ngl. That's not the best thing about it tho. When I scrolled down to the comments, turns out Phil himself actually commented on it. Idk how to post a screenshot but Phil said that it is well edited and he would watch it with SMG on their honeymoon. This maybe has been mentioned before/happened a few times already and I just don't know but I find it really funny that Mr. Never-Acknowledge-Phan himself would comment on a video, knowing full well it is a Phan edit just because it has SMG in it. Really shows how much he loves SMG lmao. Just logging on this morning to report a deppy dream. I thought about just posting it in the dream thread but I think it’s relevant to some of our states of mind. So I got a notif for a gaming video, but it was just Dan playing something, camera angle was tight but at the end he said “yeah this is our new setup, still working on it” and the camera tilted to the ceiling there were open tiles and beams, then it panned around and it was a big unfinished basement with all sorts of renovation materials lying around. So of course I was excited that they had clearly moved and came here to celebrate with everyone else. It was only later that I was excited that this meant the gaming channel was back and the fact that it was a solo Dan video didn’t even factor into the equation. It truly was a horrible dark dingy set up and I think it was implied that all their videos would be filmed down there and we would never see the rest of the house. Please analyze. Yeah, but we all know that he was happy Phil won it. Long time lurker here that decided to finally make an account. I've been watching Deppy for years but I try and stay away from the phandom because it makes me procrastinate everything else in my life. I sometimes fail and dive into the depths of hell that is everything Deppy. Usually it takes me a few days to crawl back out and reclaim my life but now I'm 3 months in and I can't seem to find the exit anymore. I think it's because of the content drought and not being fed enough to be satisfied. Do you think there are members of the phandom that know more than they say and are protecting Deppy? Like some pictures or something that is defintive phan proof that a select few know about but isn't talked about in the phandom? To be honest, I feel like that we've had enough proof. I mean, take the vday video into consideration. I'm not sure how much more definitive you can get than that, unless you choose to believe it was a prank. As for pictures and the like, I doubt it. 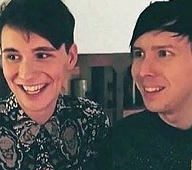 Dan and Phil are careful in public and wouldn't be caught doing anything that would be considered 'proof'. Again, the proof is between the lines. That's an interesting theory. I'd be inclined to say no, but I'm sure several youtubers are sitting on that kind of information. Thankfully, those who know have seen fit to respect their privacy. This makes them sound like they’re spies or something! I can’t see the scenario you describe working. The ever-shifting group of people who make up the phandom as a whole aren’t particularity interested in keeping knowledge about Dan and Phil private, at least not in a way where something would be passed between ‘a select few’ fans. Their Valentine’s Day video from 9 years ago continues to circulate and be referenced today. We discuss the layout of their living spaces and the AirBnbs where they stay. Before they moved even their home address was public knowledge. We have whole posts right here on IDB dedicated to proving Dan wears Phil’s clothing and underwear. We’re the least subtle fandom I’ve ever known. If I were to guess I’d say the whole culture of ‘document all the things!’ stems at least in part from Dan gaslighting fans right when the phandom was rapidly growing. It got hardwired in. Which isn’t to say no one knows of their relationship. Personally I find the concept of ‘phan proof’ somewhat confusing, and I imagine different people define whatever that is in different ways, but whatever phan proof there is, it’s no secret. 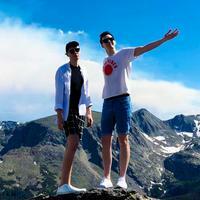 While I agree that a good many of the Phandom are, “ I discovered this thing! Now I must share this thing with everyone!”, I don’t think we can discount the quite observers. In all the times there have been encounters between fans and them, there have to be at least a few in which the fans saw them but didn’t say anything, said something but didn’t take a pic, or took a picture but didn’t post to any social media. 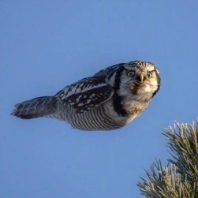 So I think that while it may be a very small chance, the posibility of someone seeing something whether “proof” or not, that they felt wasn’t their right to share is out there. 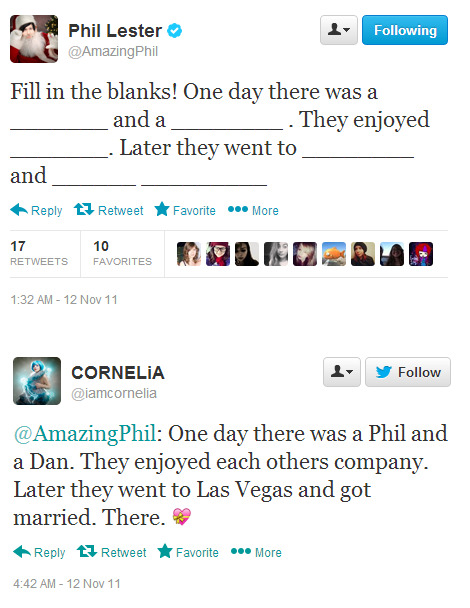 I'm definitely not saying that everyone in the phandom would out Dan and Phil as a couple if given the chance! Being a quiet observer is very different from having or seeing something you consider 'proof' and sharing that thing with a few other members of the phandom without it quickly making its way into the phandom's public domain. I just can't see that happening. Three can keep a secret if two are dead and all that. There's a difference between meeting them and not sharing it because it's something that you want to keep private and knowing something that no one else does. So no, I don't think so. The rule of fandom is that nothing can be kept secret, someone will always share it a trusted person, and that trusted person will share it to another trusted person and it might takes weeks or months but something quickly becomes public knowledge - or at least, public knowledge for the people that want to know about it. I mean, you could argue that this forum alone counts as a "selected fews" since we talk about the airbnb vacation houses, the two flats theory, vday video, we got to talk about truth bomb and tour before they announced it etc. Keeping things in small groups never works, someone will always share it outside. 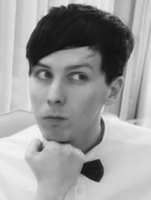 Will probably never be over the BONCAS and how cute Phil Lester is. I fully agree with this. I’m fairly sure that none of their viewers ever saw them do anything couple-y in public. That’s actually one of the things that sometimes makes me wonder if they really are together because I’d personally find it nearly impossible not to be affectionate with my partner in public, even if it would just be leaning on their shoulder or linking arms or whatever. But I do know everyone’s different and every couple handles their couple business differently. lol I just imagine keeping it all a secret is really emotionally draining and exhausting at times. In other news, Dan keeps liking posts from ContraPoints and similiar leftist YouTubers and I really hope he’s about to drop his very first political video soon. Maybe really on the topic of gender, as others already suggested. I’d be immensely happy with that. Granny phannie since 2012. Help me. As a person that had a very closeted partner I can definitely say that it's easy to refrain from affection in public when you are someone/are with someone who is intensely uncomfortable with the idea of anyone knowing the true nature of the relationship. It's not an 'oh I'm sad we can't do this' thing on that level, because you very genuinely wouldn't want to be doing it. (Not saying it's not sad to be in a position in life where it doesn't feel safe/acceptable, just that on an individual feelings level - when you associate something with feeling bad or shame or exposure, the temptation to do it just isn't there.) For me, in that relationship, it would have been more emotionally draining to be be affectionate in public than the other way around. 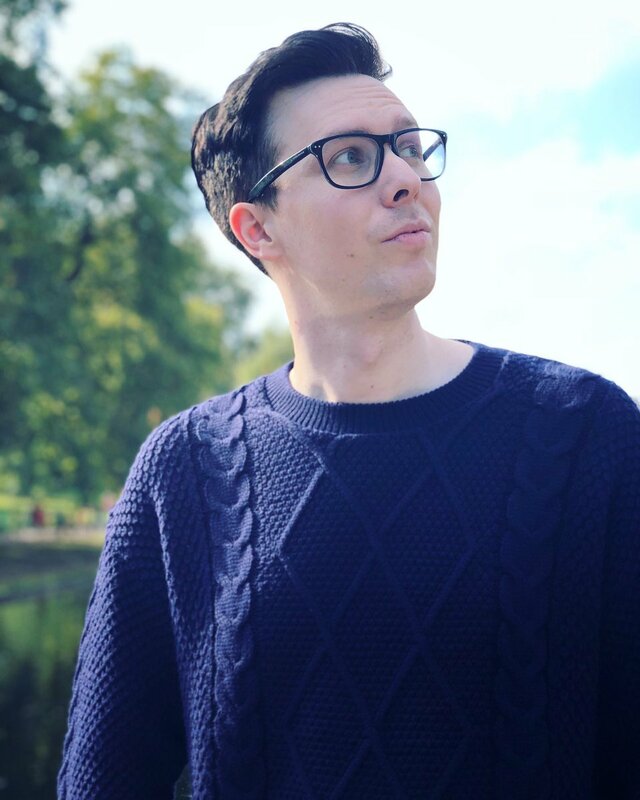 And while I'm at it - what I just did above, the personal anecdotal response, is exactly why Dan and Phil do get away with doing couple-y things in public or in a general frame of life and people have amnesia about it. People frame Dan and Phil's experiences by their own experience and asserts it as fact. 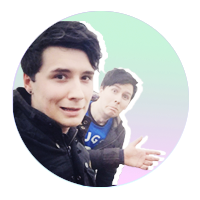 Which it is, on a personal level, for me, but not with regard to Dan and Phil. I don't know how they feel. I don't think it's wrong for people to offer insight, either, but it is something that keeps a level of doubt continual for a lot of people. Like: I would say sharing two bedroom accommodations with a couple is pretty obvious. Someone else would say 'I did that with my best friend and we're not a couple.' Same with living together for eight years/moving to multiple new places together past the point of needing a financial burden shared. Someone would say: I have a roommate because I just like company. The repeated family trips comprised of couples - there's always someone that quickly reassures everyone they do that, too, so it means nothing concrete with Dan and Phil. And the same thing happens with stuff like what Cornelia posted in 2011 or the confirmations from Charlie if we're talking early days. This fandom is very obsessed with picking apart individual points to prove/disprove things and overlooking the massive ones, or trying to compartmentalize things. If you mention Charlie's confirmations, then they're discounted because of his not stellar personality. Sometimes age alone gets things dismissed if there's no other reason (formsprings, late 2009/early 2010 behavior, Cornelia saying they'd get married, sometimes the vday video itself). But if there's a laundry list of unrelated things people who do not believe they are together have to constantly work to discount, that is a statement in and of itself to me. If Dan liking those kinds of posts could mean he’s thinking of/already making a video on a subject like that, that would be interesting. I’m here for whatever, though, tbh. I haven’t watched much of ContraPoints yet or Philosophy Tube (the fella she’s in the Edinburgh ig photo with) at all, but I saw him on a panel at Summer in the City, hadn’t discovered him before then. If he goes more political and essay style, I hope he does it with as much props and costume as Contrapoints does. When my first moment of the phandom having a collective 'bad feeling' happened, I remember @alittledizzy saying exactly this. I remember from my newbie fan point of view that a lot of people were panicking and she was saying some things that seemed (i was new so i can't say it *was*) very rational and real. And since I arrived in the phandom, this phenomenom of collective bad feeling then cute thing then collective bad feeling again happened so many times I stopped counting and to me it also applies to the way the phandom process """proof""" and stuff like that. Oh God, which one of them is it. What kind of devil did you have to know in person. Also, @alittledizzy, that was an awesome post and it very much reassured me reading it. I re-read my own post and realised it sounded like I’m a big ball of doubt but I actually hardly ever “doubted” their relationship, it was kind of a given for me, just sometimes the fandom is good at gaslighting each other. You described it perfectly. 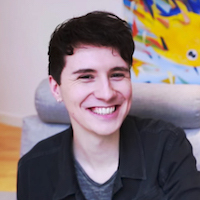 Having joined the fandom in 2012 I am still somewhat emotionally scarred from Dan’s very own period of gaslighting and backtracking and aggressively denying, so I guess that’s just what many viewers still have drilled in their heads. lol “No, it can’t be, and if I were to believe it I’d be a pathetic spoon” — something like that. It’s good to be reminded by more levelheaded people that there is no reason to believe they are not together. 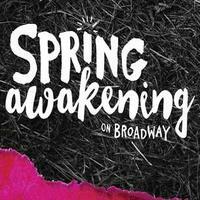 Is this a theater outing, an early valentines day dinner, or just part of phil's extended birthday tour? I mean he’s entitled to his very wrong opinion, but that is absolutely atrocious. Wonder if this is still the Royal birthday tour dinner for Phil or if they’re celebrating with Karen? 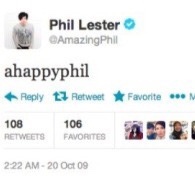 Phil... I don't know if I've ever heard of a dessert that sounded worse than that. The place they went to looks nice though. I'm having a good time imagining that it's a v-day thing, when it's almost definitely not. 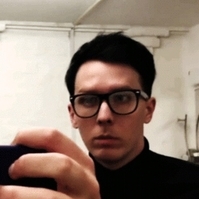 I mean, I knew pHil was too perfect to be real, he had to have a flaw and that is having an awful opinion on licorice. It happens.